Leave it to the Finns. University of Turku researchers in Finland noticed how few studies have been published on the role of restrooms in retail shopping experiences. The researchers decided to deposit their own contribution to this literature based on surveying 655 shoppers in a suburban Finnish department store over the course of one summer weekend. I present the results to you realizing that what’s true in Finland might be less true in other cultures, what matters in a department store might be a bit different than what matters in other retail settings, and what people tell researchers regarding their in-store toilet habits suffers a bias because of taboos regarding discussion of urination and defecation. Still, I think the findings serve to remind us how store amenities matter. The same bias that leads shoppers to avoid discussion of their use of restrooms can lead merchants to neglect adequate restroom maintenance. Moreover, many merchants consider restrooms as an invitation for store visitors who those merchants would prefer not come into the store. But even if your customers want to avoid proximity to riffraff, they want their own natural urges relieved. On a four-point scale of importance, study participants gave a 3.4 to the cleanliness, availability, and locational convenience of restrooms. Females placed higher importance than males. Among shoppers aged 60 and over, the importance of restrooms was rated above that for customer service. For those stores having a toilet easily available, those who used it spent about 25% more time in the store, opening opportunities for more browsing. Although in the study, the amount of money spent was not significantly higher among those using the toilet than among those not, the research findings suggest that stores with easy accessibility to clean restrooms do draw larger customer spends than those without. Toilets matter especially since they relate to avoiding disease and caring for family, two of the most basic sales pitches of all—the consumer motivations which lead to propagation of the human species. There are other ways these show themselves. When activated, the evolution-developed trigger for a fear of disease results in consumers becoming less interested in foreign products, ideas, and people. Have a hand sanitizer dispenser available in the area of merchandise from less-developed countries. Just the presence of the dispenser can ease the prejudice. And to help in family care, check that each restroom includes a diaper changing table. Many consultants advise retailers to arouse enough fear to scare people into action, but not so much that people tune out the retailer. In my opinion, a better guideline is to raise enough fear of a real danger to win the customer's attention, but only to the degree that you've a guaranteed way to substantially reduce the risk. It’s unwise to oversell. However, you might be wise to overtell. Tell more risks than you need to, that is. Paradoxically, when you notify the shopper of more risks, this can reduce the shopper’s opinion of the total possibility of harm. Researchers at University of Miami and Boston University saw this effect using as an example the dangers of a new drug to treat hypertension. A group of study participants was told the drug could increase the likelihood of seizures. Another group was told the drug could increase the likelihood of seizures, congestion, and fatigue. Then, when all the participants were asked to state how threatening they judged the drug to be, the participants told there were three side effects gave lower threat ratings. This “more is less” is also seen on the positive side. The researchers note the finding that consumers were willing to pay more for ten high-value baseball cards than for the same cards plus three cards of modest value. But it’s not true that more of the more is always less. When the researchers told a third group of study participants about five possible side effects of the hypertension medication, the judgment of danger was about the same as with the group told there were three possible side effects. Laws, standards of professional practice, business insurance underwriters, and commitment to retailing ethics might all require you to provide customers warning about the risks in using certain products you sell. 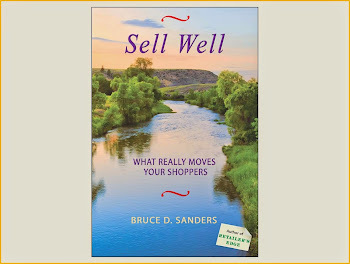 Beyond this, researchers at European University Viadrina found that when a salesperson volunteers negative information about a product that’s being considered by the shopper, the shopper becomes more likely to trust everything the salesperson says. Yet, when shoppers hear possible adverse consequences of using a product, they’ll overestimate the likelihood of the consequences. If the label says “it happens rarely,” they’ll be thinking, “it happens often enough to make a difference.” To dilute the perception of overall danger, start off informing consumers about the most serious risk, then add at least a few of the less serious risks. About 95% of items returned to retailers are in fine shape. The customers most commonly say that they’re bringing back the stuff because of second thoughts about the purchase when they got it home. Even though such items are usually suitable for resale, there are still the costs of checking each item for defects, damage, or usage and then restocking it and selling it again. Aware of the hit to profits that item returns can cause, researchers at Seoul National University, using samples of American and Korean consumers, identified a way to reduce item returns: Offer a free gift along with the item purchased. This is a method you probably wouldn’t use for every purchase. But it can work well with sales of items where processing returns is especially costly or bothersome. The researchers found it’s even more effective when you allow the purchaser to choose the free gift from a few alternatives you present. The method works for two main reasons. First, the shopper believes that if they return the item, they’ll need to return the free gift, and this makes the psychological cost of the return higher. Second, the acceptance of the gift, and especially of a gift the customer selected themselves, results in a more solid feeling of ownership, and so a hesitancy to surrender the merchandise-gift pair. Policies that are offer exchanges rather than money or monetary credit reduce the rates of return. Return rates are greater for retailers who are lenient about the time by which a return must be made or about allowable reasons for the return. In a 2011 Harvard Business Review essay, Kevin Peters wrote that one of his earliest experiences as head of Office Depot’s stores in North America involved an employee arguing with a shopper. The argument was about whether the store carried a calculator the shopper’s son needed for first grade. The shopper insisted that the store carried that model calculator, the employee insisted that the store did not carry the item. “An employee arguing with a customer—it was unbelievable,” Mr. Peters wrote. This fits the situation even if the store never ever carried the item and the shopper is completely wrong in saying the store did. Avoid direct contradiction when arguing against a shopper’s beliefs. Researchers at University of Melbourne verified the value of that advice for arguing against shopper’s negative views of an item or store. A pair of brands were identified that shoppers disliked mostly because they considered it to provide poor value for money or mostly because they considered it to provide inadequate customer service. Then some of the study participants were shown an ad that directly contradicted the reason for dislike. Those who said they got poor value were shown an ad claiming good value. Those who said there was poor service were shown an ad claiming good service. The rest of the participants were shown an ad that argued for the other issue. Those who said they got poor value were shown the ad claiming good service, and the “poor service” people were shown the “good value” ad. The second way of doing it was much more successful in changing negative opinions of the brand about both value and service. In fact, those exposed to the direct contradiction came to view the brand even more negatively. People don’t like to be proven wrong, but they don’t mind learning new facts when it’s to their advantage. Store loyalty programs work best when the customer experiences joy at receiving a program reward. The emotion strengthens the basic relationship in the brain between shopping at the store and pleasure. Eliciting joy at reward redemption is less likely when the reward is the same each time. Researchers at Yale University and Carnegie Mellon University find that, in this situation, customers come to feel entitled to the reward. They experience joy only when the amount of the reward is increased, and only until they again become accustomed to the increased amount. This effect is so strong that when the amount of loyalty program reward granted was decreased, the disruption to store loyalty was greater than if the participant had been told the program was discontinued altogether. Customers’ favorite loyalty program reward is a discount on an item of the shopper’s choosing. Progressively increasing the amount of this discount could quickly jeopardize the retailer’s financial viability. A better alternative is to periodically change the nature of the reward. How about a gift of a confection? Northwestern University researchers rewarded some consumers with cash and others with a slice of cake. As you’d expect, those who received more cash expressed greater joy than did those who received less cash. However, the size of the cake slice didn’t matter. Because there’s no number easily attached to the slice size, the happiness was determined by the flavor of the treat. So let them eat cake. Well, okay, I admit a piece of cake might not work as a reward for every type of store, or maybe any type of store beyond a bakery. Still, the lesson is that you can neutralize the entitlements trap with the language of merchandise rather than money. Yet you’re still facing the fact that the favorite reward is a discount. The solution to this one is to add the merchandise to the discount and periodically alter which merchandise item you award as a surprise bonus. Studies of loyalty programs find that small rewards given unexpectedly build a desire to reciprocate by giving future business to the retailer. Change and surprise meet the well-documented desire of consumers for moderate variety. An ad in the California Milk Processor Board’s highly successful “Got Milk?” campaign featured the protagonist eating a chocolate chip cookie and then afterwards yearning for some milk to go with it. Studies at Hong Kong University of Science and Technology and Italy’s Bocconi University verify that the delay built into the sequence makes sense: Our yearning for a complementary item grows after consumption of the partner item. Our thirst for milk is greater after eating the chocolate chip cookie than if the milk has been sitting there from the start. Is this only because the cookie is dry and sticky? No, the study results indicate. It’s because we associate the two items in our minds. Cookies go with milk, pizza goes with cola, crackers go with cheese. The partnering is to specific items. That this is true was shown in the studies when participants were asked to imagine consuming one of the items rather than actually consuming it. The imagining was enough to whet targeted appetite for a partner item. Other evidence was that, in this multinational study, the effect was found only for items considered to be partners in that consumer’s culture. So let’s use our own imagination to see ways to make use of these study findings. Imagine that a restaurant patron has ordered an item, but not the partner item. It could work well for the server to check back after the patron has started to consume the ordered item and suggest adding the partner item. The whetting effect would have increased interest in the second item. The general principle of checking back for a partner item after a delay also applies to nonfood retailing. When there are optional add-ons to an item intended for imminent use, begin with the basic model and then build by suggesting the options, asking the shopper to think about the outcomes of using the purchase. And check in with customers after purchases to propose ways to enhance usage pleasure. Prune away for your shoppers any conditions which try their good will when they’re getting sample experiences with items they’re considering for purchase. Researchers at Iowa State University showed that doing this improves intentions for shopping with you during the present store visit and in anticipated future store visits. The particular issue those researchers explored was the frustrating experiences of older women while trying on clothes in dressing rooms. But the researchers’ suggestion applies more broadly to anyone with a physical challenge, such as the handicapped, to make it more likely they’ll persevere when shopping with you. Easing the sampling also improves satisfaction for every other visitor to your store. Ease access. Position tryout areas in convenient locations. Ensure that shoppers feel free of vulnerability, such as by adequately protecting their privacy. Have adequate lighting. Point out places for shoppers to safely put aside packages and belongings so they can turn their attention to the prospective purchases. Some retailers use an ottoman and mirror arrangement for easy visibility. Provide choices in how the shopper can accomplish tasks, such as by having illumination dimmers within easy reach for people with a limited range of motion. Present important information in pictorial, verbal, and tactile formats. Allow space for companion help, service animals, and assistive devices like walkers. Keep the dressing room uncluttered. Make it easy for the shopper to have staff do any re-shelving. Perhaps place a “Not for me” container by the dressing room exit. Parallel guidelines apply when the items being tried out are not just being tried on. Researchers at University at Buffalo-SUNY and Indiana University verify our common sense notion that people master novel products best when given the opportunity to experiment with the product repeatedly. The measures of mastery included attraction to the product, a willingness to pay a premium price for it, and an ability to use the product’s capabilities in a variety of situations. 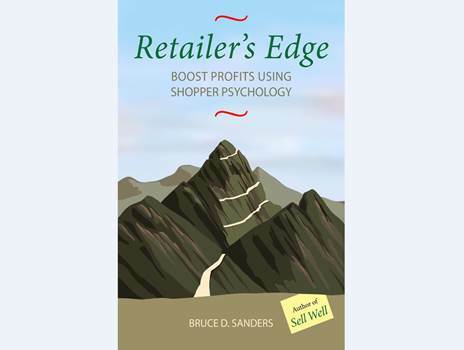 By allowing the shopper to try out the product, you’re more likely to make the sale and have a happy purchaser. That’s best done for all shoppers in circumstances where they feel safe. You might sometimes be tempted to say to shoppers something like, “The choice I’m recommending is the only alternative which makes sense for you.” What keeps you from actually saying this could very well be concern that the shopper’s freedom of control would be threated and they’d push back. The pushback is called “reactance.” Classic consumer behavior research finds that if you tell a shopper what to do, they’ll move away from your persuasion. If you put a whole bunch of sales pressure on a customer, they’ll rebel, becoming determined not to do what you’re trying to convince them to do. They start debating each idea you present and physically distance themselves from you. Yet there are instances in which directive language can rope in a sale instead of whipping the shopper away. It works better in an ad than in face-to-face selling. An ad maintains greater psychological distance from the consumer than does face-to-face interaction so the person feels less trapped. Your shopper will tolerate more bossiness. Still, researchers at University of Central Florida, University of Alberta, and Duke University recommend caution when using highly assertive ad language with an audience committed to patronizing your store. For these consumers, the assertive language leads them to fear shame if they don’t comply, so even though they’ll feel pressured to go along with your recommendations, they’ll develop resentments toward you. Aim away from shaming your committed customers. Guilt’s okay, though. What’s the difference? With guilt, the people acknowledge they’ve done something wrong or failed to do something right. With shame, the added element is that the people believe others will hold them responsible. So how to explain the success of the “Just Do It” tag line for Nike, when so many consumers are committed to the brand? Researchers at Georgetown University and Ben-Gurion University find that highly directive language works best with items which bring happiness. The happiness might come from immediate sensual pleasure. The salesperson for the day spa says, “You belong on our massage table.” The candy shop advertises, “You must try our chocolates.” Or the happiness might come from an anticipated sense of accomplishment. Running the marathon in Nike shoes qualifies “Just Do It” under this prong. Unless what you want to sell your committed customers is clearly hedonic, be cautious using highly assertive language in ads and in face-to-face interactions. Guide instead of shaming. E-mail rimtailing@gmail.com about improving your retailing profitability! I’m a consumer psychologist, retail consultant, and human resources advisor who specializes in helping providers of products and services make and save more money. The key is putting to use what we’ve discovered about the ways in which our customers, clients, patients, and prospects find value in what we offer. I've worked with thousands of merchants and professional practitioners to maximize their business profitability and joy in selling. Please contact me at rimtailing@gmail.com. Want to know the source for a research finding I’ve used? E-mail rimtailing@gmail.com. All copyrights reserved. RIMtailing is a registered service mark. Ethereal theme. Powered by Blogger.